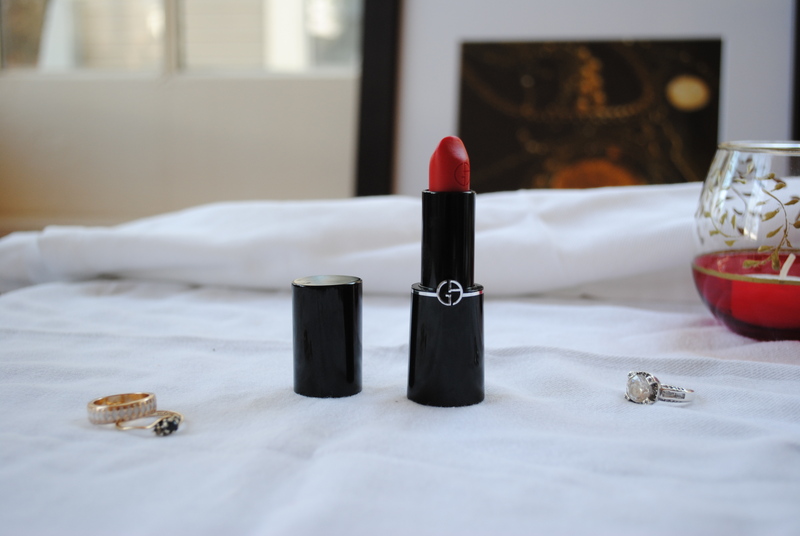 MAKE UP MONDAY: Red Lipstick! As a general rule, I do not wear red lipstick. I would never have picked this color out myself, and this is why I am always preaching for women to go visit their local make up counters! I was at the Armani counter in Neiman Marcus at the Domain in Austin, and my fab friend and neighbor Lindy was helping me out. 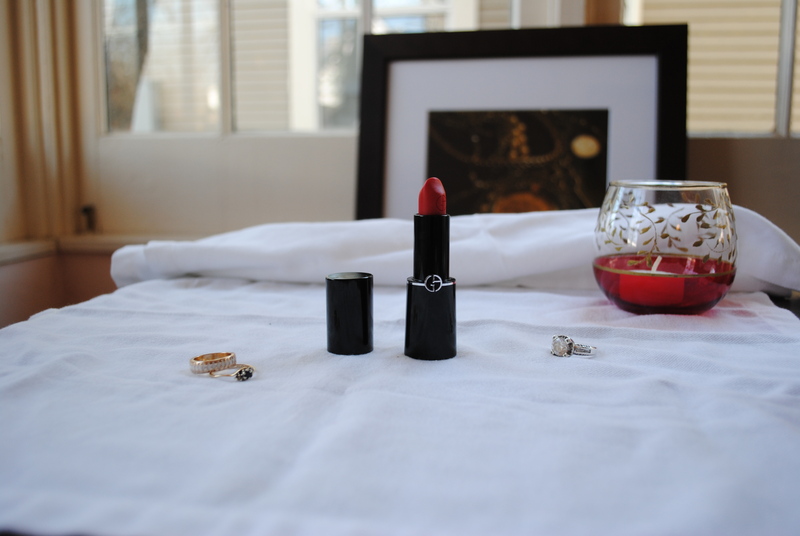 She put this red lipstick on me, and right away we could tell it was perfect! The reason this red works so well is that it is a sheer formula. I know a lot of younger ladies want super vibrant matte shades, but for me and others not 21 anymore, a sheer lipstick is a beautiful thing. I wore this on New Year’s with a little frosty off-white gloss, and it came out very festive. This red Armani lipstick goes really well with my pink clothing, or anything brick colored (my favorite shade for these cold months). This is the sort of lip product that you can bring anywhere, wear anytime- and it was the ONLY lipstick I packed with me on my last trip! It’s that versatile and wearable. I love the sheerness, and the lightness. It was a surprising find. Get yourself to a make up counter and try, try try! And invest in the good stuff. 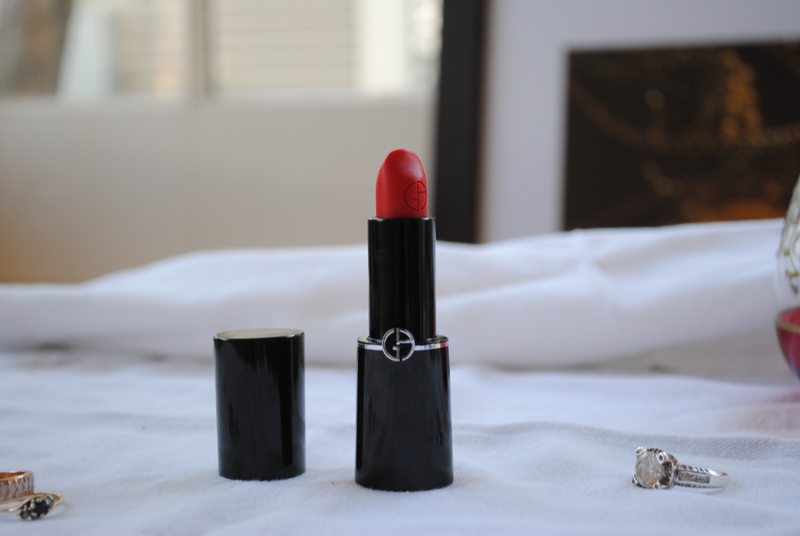 Even totally lipstick adverse women should check out how a sheer pop of color like this can transform your whole face.